6.5 earthquake hits the Rat Islands in the Aleutian Islands. 5.4 earthquake hits the Bougainville Region, Papua New Guinea. 5.2 earthquake hits the Rat Islands in the Aleutian Islands. 5.0 earthquake hits Santa Cruz, Argentina. 5.0 earthquake hits New Britain,Papua New Guinea. 5.8 earthquake hits the Bouvet Islands. 5.7 earthquake hits Mindanao in the Philippines. 5.6 earthquake hits the west Chile rise. 5.1 earthquake hits the Rat Islands in the Aleutian Islands. 5.4 earthquake hits New Guinea, Papua and New Guinea. 5.3 earthquake hits south-west of Sumatra, Indonesia. 5.1 earthquake hits the Loyalty Islands. 5.1 earthquake hits the Rat Islands, Aleutian Islands. 5.8 earthquake hits Colima, Mexico. 5.2 earthquake hits Antigua and Barbuda. 5.0 earthquake hits the Rat Islands, Aleutian Islands. 5.9 earthquake hits the Solomon Islands. 5.1 earthquake hits the Savu Sea. 6.6 Earthquake hits the Rat Islands in the Aleutian Islands. 6.3 Earthquake hits the Balleny Islands. 5.4 Earthquake hits the Mid- Indian ridge. 5.3 Earthquake hits off the coast of Jalisco, Mexico. 5.3 Earthquake hits the South Indian Ocean. 6.7 Earthquake hits offshore Guatemala. 5.6 Earthquake hits the Kuril Islands. 5.2 Earthquake hits Salta, Argentina. 5.0 Earthquake hits the Rat islands in the Aleutian Islands. 5.0 Earthquake hits south of the Mariana Islands. 5.0 Earthquake hits near the coast of western turkey. 5.3 Earthquake hits the Rat Islands in the Aleutian Islands. 5.7 Earthquake hits west of Macquarie Island. 5.3 Earthquake hits off the east coast of North Island, New Zealand. 5.3 Earthquake hits southwest of Sumatra, Indonesia. 5.2 Earthquake hits Hokkaido, Japan. 5.5 Earthquake hits near the east coast of Honshu, Japan. 5.3 Earthquake hits the Kermedec Islands. 5.0 Earthquake hits off the east coast of Kamchatka, Russia. 5.3 Earthquake hits Antofagasta, Chile. 5.2 Earthquake hits Costa Rica. Two 5.0 Earthquakes hit Fiji. 5.0 Earthquake hits eastern Iran. 5.0 Earthquake hits the Kamchatka Peninsula, Russia. 6.2 Earthquake hits South Island, New Zealand. 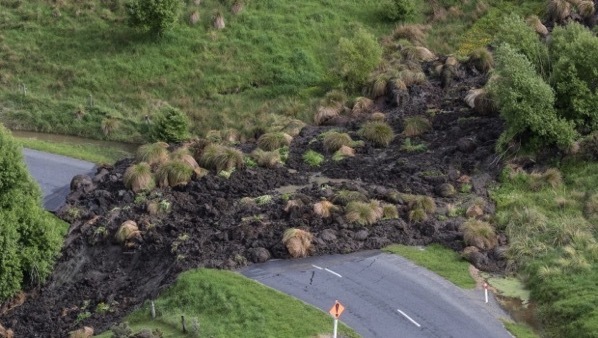 Remote communities across the South Island have been left damaged, cut off and without power or telephone communication by yesterday’s early morning 7.8-magnitude earthquake. 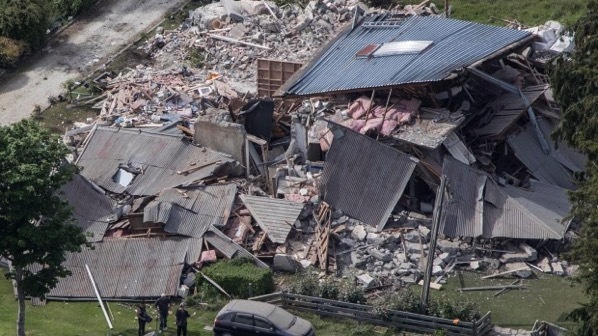 More than 400 aftershocks have hit the Island with major aftershocks of 6.2 and 5.8. At least two people were killed and a tsunami of up to 2 metres high forced residents to flee to higher elevations. 6.2 Earthquake hits La Rioja, Argentina. 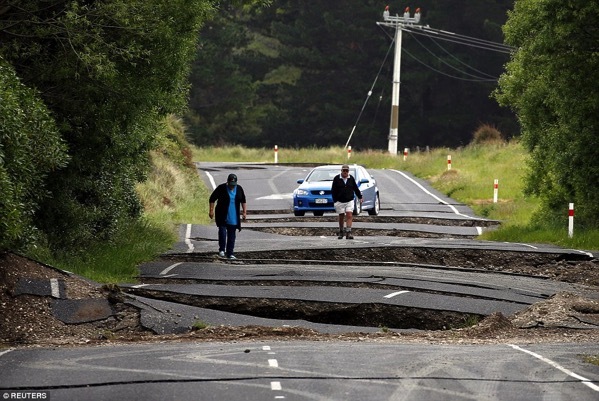 5.8 Earthquake hits South Island, New Zealand. Two 5.6 Earthquakes hit South Island, New Zealand. 5.6 Earthquake hits South Island, New Zealand. 5.4 Earthquake hits South Island, New Zealand. 5.4 Earthquake hits the Rat Islands in the Aleutian Islands. 5.3 Earthquake hits South Island, New Zealand. Five 5.2 Earthquakes hit the Cook Strait, New Zealand. 5.2 Earthquake hits south of the Kermedec islands. 5.2 Earthquake hits off the east coast of South island, New Zealand. Two 5.2 Earthquakes hit South Island, New Zealand. Three 5.1 Earthquakes hit the Cook Strait, New Zealand. 5.1 Earthquake hits San Juan, Argentina. Two 5.1 Earthquakes hit South Island, New Zealand. Two 5.0 Earthquakes hit the Cook Strait, New Zealand. Three 5.0 Earthquakes hit South Island, New Zealand.